hd00:07AGRA, INDIA - 26 FEBRUARY 2015: Outdoor wall of Taj Mahal, with people passing in front. 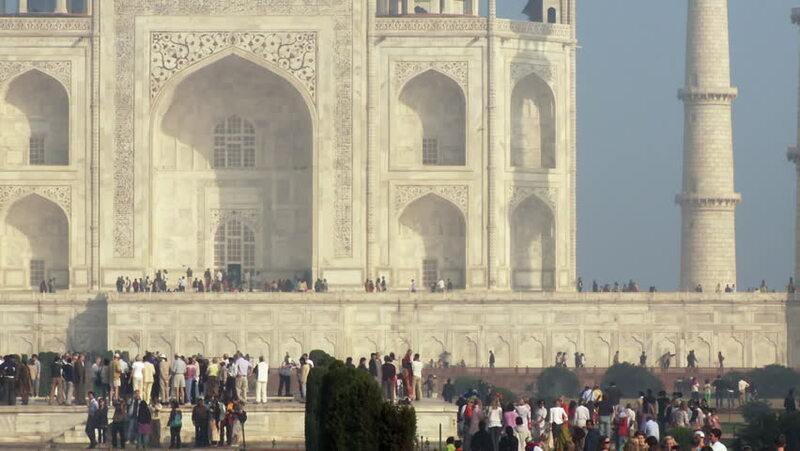 4k00:14AGRA, INDIA - 19 OCTOBER 2014: People walk around the impressive Taj Mahal building in Agra, India. hd00:11AGRA, INDIA - CIRCA MAY 2014: People visit the Taj Mahal. The Taj Mahal is a mausoleum located in Agra, India and is one of the most recognizable structures in the world. 4k00:18Venice Italy 28 Oct 2016: People In Center of Venice Italy. Piazza San Marco Venice. Architecture in San Marco Square.Venice Architectural Details in the City Center. 4k00:08ISFAHAN, IRAN - MAY 8, 2015: Visitors at the inner courtyard where the sun drying cleaned carpets at the Jameh Mosque, oldest mosque in Iran.